I just put everything I using near to hand. Going for a little longer post this time, Dear Reader. Thursdays and Sundays are the days I do my most intensive cooking, depending on my mood they can get very elaborate, they’re almost always followed by relatively simple and plain dinners so it all balances. I don’t think anyone can really conceive of all the work it took to get where I am now. It’s what, hopefully, makes sharing all these tweaks and spontaneous variations worthwhile, Dear Reader, you never know who you’ll reach. So I mentioned before that I had some blackberry juice frozen, cranberry too, same idea, and thanks to a few recipes, Raspberry Sauce and Strawberry Basil, I know that meat and fruit is a very special combination. Coupled with the nut butter amaranth, well, it’s just very special. I wouldn’t know where to begin posing photos. So the sauce is a simple reduction. 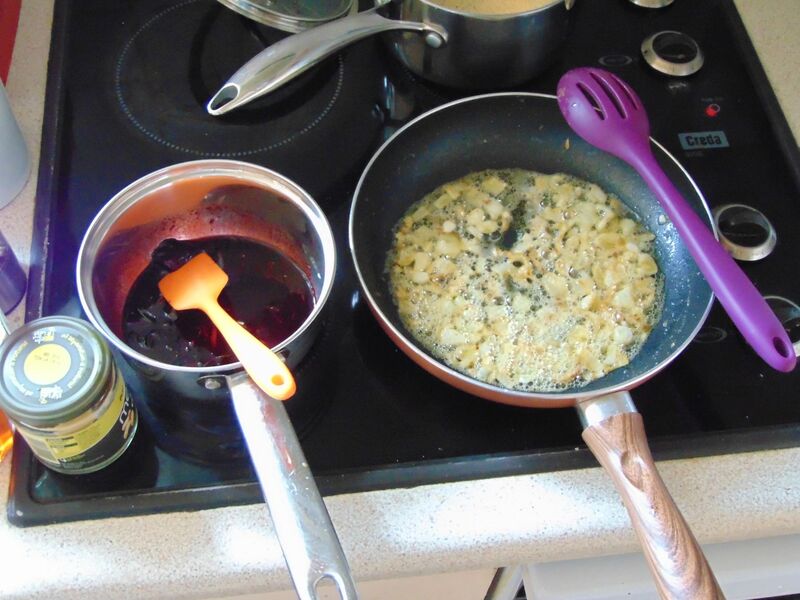 Again, not exact, but close enough, 100ml of blackberry juice, unsweetened, a dollop of blackberry jelly, like a tablespoon’s worth, a sprig or two of rosemary, stripped, no need to chop, salt and pepper. I tossed that in a pot and then went to caramelise shallots, I was inspired, order has no place here. I used all butter, when they turned brown, not quite caramelised, but close enough to bring out the sweetness and increase the natural taste’s prominence, I threw those, sans the butter, reserved for steak, into the sauce pot. Just boil it until it reduces, I could’ve taken it further, but I like sauce, swimming in sauce isn’t ascetically pleasing, but it sure is delicious. So much sauce, so, so tasty. The amaranth, is the version with nut butter, cashew in this case, the link is above with recipe, I left unsweetened, but salted. There was enough sweetness, I use either maple syrup or honey when I’m using it as normal. Or as normal as my recipes ever are, Dear Reader. The harlequin squash chips, with carrot and roasted whole cloves of garlic, peeled, think gooey and crunchy, are just seasoned with salt and pepper, I use mixed peppercorns because they were there, I think the allspice in it also goes with savoury fruit sauces. I’m not that nuanced or sophisticated of palate. So, what you get is crispy vegetables, a creamy, nutty, naturally sweet thanks to the cashew, side and a steak, with a hint of shallot, slathered in a sweet, oniony rosemary rich sauce. I love rosemary and blackberry, I’d honestly consider making jelly with it for the Winter. So, that’s that, Dear Reader, a labour intensive dinner, but an enjoyable one and a meal that really let me celebrate the garden’s bounty. I hope you’re enjoying these posts, they’re useful for sharing what wouldn’t warrant claiming a new recipe’s creation, but useful enough to be shared. I’ll be back again later, Dear Reader, take care. You can use as much rosemary as you like. 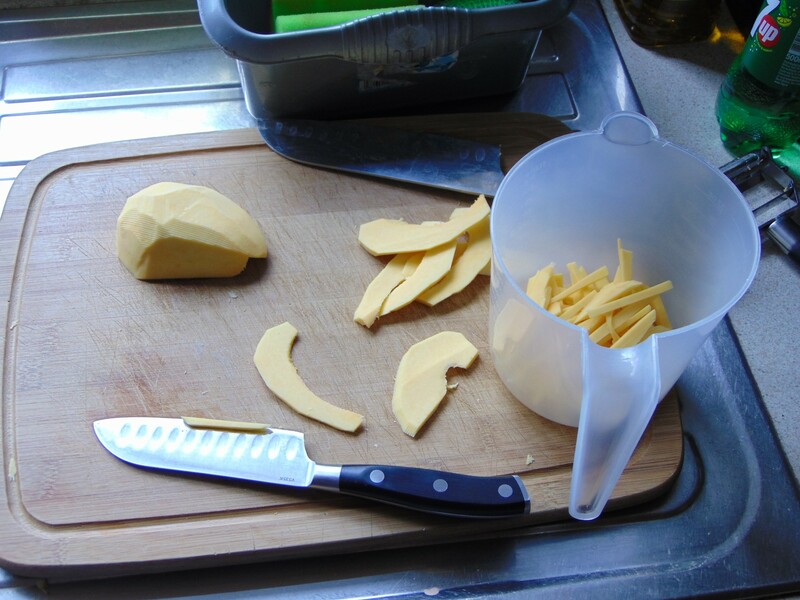 I really dislike when recipes call for very specific ingredients, now, setting that aside get your freshly harvested, recently cured table king squash and….I’m joking of course, any firm mild tasting squash will do here. This is a little different from my normal method in that usually I like the vegetables to try and crisp up as much as possible, but this instead locks in the moisture and keeps everything tender. It’s a different method, but one I’m very happy with. Let’s see how much of a post I can squeeze out of such a simple recipe. Less shrinkage as there’s less moisture loss. One twist to he norm is the salting of the pecans, it adds a really amazing contrast to the sweeter vegetables, the boiling water helps the salt adhere. I’m aware I’m not selling this much, but recipes like this always seemed daunting to me when they were oversold with hyperbole, you only realise how much of those posts is window-dressing after you’ve been making these recipes a long time. As I said above the moist is held in by the coating, there isn’t much in it but it’s more than enough, any more and you’d end up with soggy vegetables. The taste is pretty subtle, just a pleasant sweetness accentuating the natural sweetness of the vegetables. Of course you could do this with any vegetables you’d like. I think of recipes like this as American, there always seems to be something like this whenever an American holiday recipe post appears anywhere. I’m not sure what country squash is most popular in, if my love is to be held against entire countries then obviously Ireland will win out. 1. Pre-heat the oven to 220c (Fan) and line a tray with grease-proof paper. 2. Add the Pecans to a sieve and pour over hot water, drain and then toss with salt. Set aside. 3. Add the Everything but the Squash, Sweet Potato and Pecans to a bowl and whisk together until Sugar has dissolved. 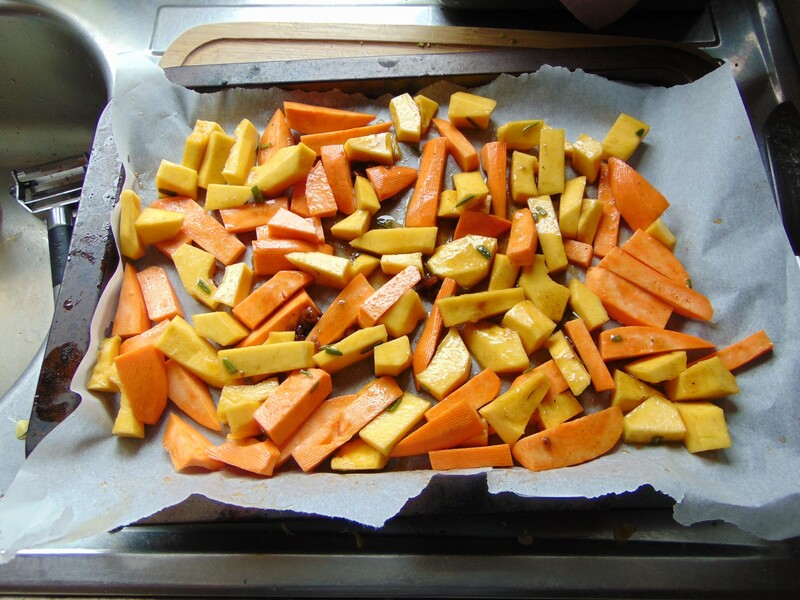 Add the Squash and Sweet Potato and mix together until coated, tip out onto prepared tray and bake for 30-40 minutes or until Vegetables are tender. Add the Pecans 10 minutes before end. Then harvest another Table King afterwards. I was going to julienne it with the peeler. Yeah, I, er, cut my finger, skinned the tip a bit, nothing major, but I seem to be making a tradition of this. The peeler just snagged on the small squash and, yeah, if any of this isn’t quite coherent then I’m laying blame on the finger whether it was that or not. You could say I’m pointing the finger…don’t cry, dear reader, I’ll stop making bad jokes someday. So, here we are a again, another harlequin squash another recipe, it is just a tweak of my sweet potato fries, but there’s rosemary and it’s harlequin squash, it’s never not amazing when it harlequin squash. More or less rosemary to taste. So, not much here, which means there’s not much leeway, if you keep things as even as possible, not easy when you consider the shape and hollow cavity of the squash after peeling and de-seeding, then you won’ have to worry about uneven cooking. This can be tweak with any spices you like, but I enjoy the simple taste of fresh harlequin squash, the crispy crunch and he soft interior. This is why I grow them, these simple recipes that showcase its strengths. I have no need for potatoes when I have squash like this. They do resemble McDonald’s fries a bit, don’t they. I should’v called it a copycat recipe and become world renowned. It could happen, shush. Nothing stopping you using any squash this way, but only harlequin seems to crunch up like this. 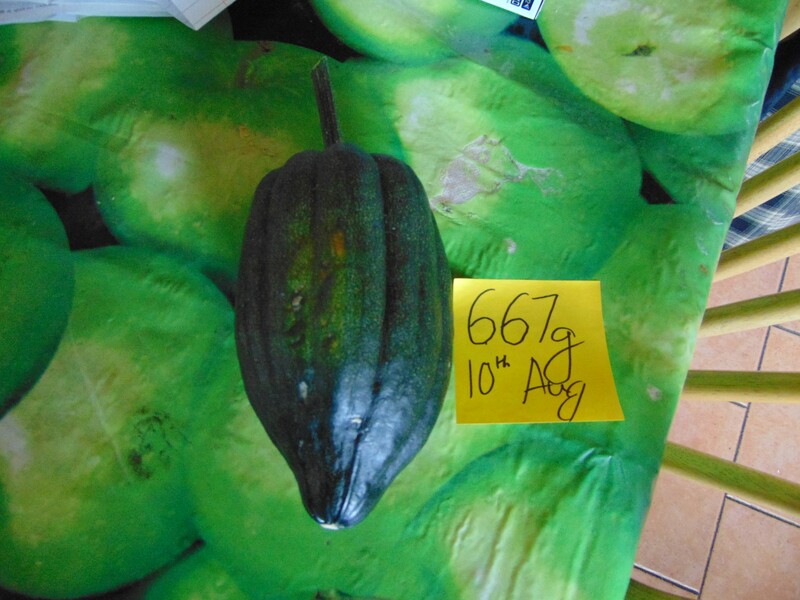 Maybe I’m wrong, if I am tell me of other squash, I’m always on the look out for new varieties. I’l see ou again soon, dear reader. These posts are scheduled, by the time you see this my finger will probably be healed. 1. Pre-heat the oven to 175c (Fan) and line a baking tray with grease-proof paper. 2. Peel the Harlequin Squash, remove the seeds with a spoon and slice them lengthways, each slice should be about about half a centimetre thick, then cut them into half centimetre strips. 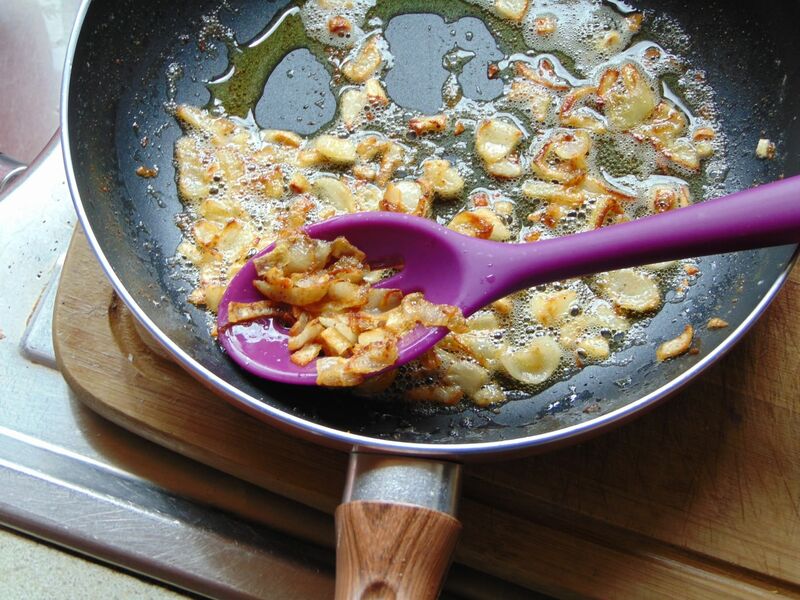 Add to a plastic bag, season to taste then drizzle in the Olive Oil. 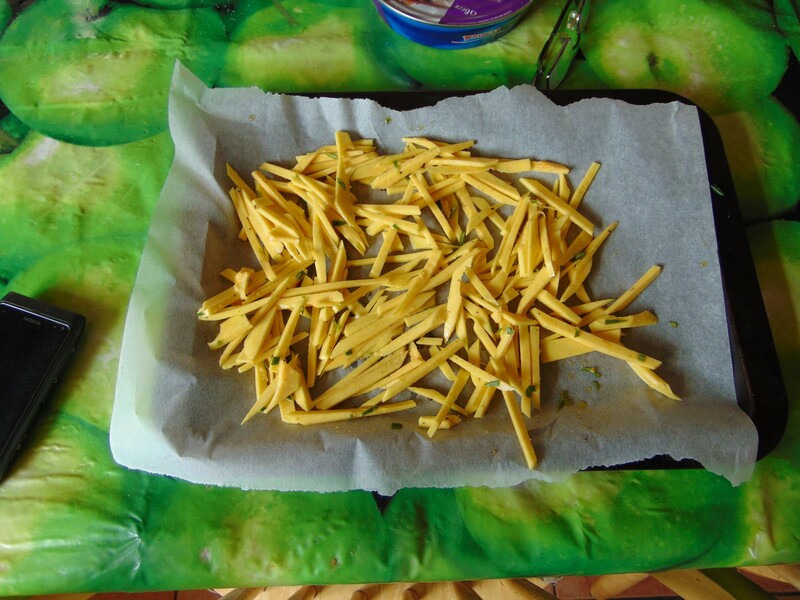 Shake everything until the Harlequin Squash Fries are coated. 3. Spread out over the prepared tray. Making sure there’s plenty of room between the fries. If making a large batch use two trays. Bake for 30 minutes, stirring occasionally to prevent burning. until the Harlequin Squash is dry and crisp. Remove from oven and transfer to a plate and let cool for a minute or two. Harlequin Squash will crisp up more as it cools. Credit firstly, the original marinade is from Cook for Your Life though I’ve fiddled with it just a tad. The second recipe, which is optional, but works really well, is just from yours truly. I was looking for fresh rosemary recipes and I saw a few that used it with sweet potatoes, some with honey and I just went my own way and the end result was rather nice when it all came together. So to Jack for a moment, the rosemary above is a plant I was given last year, the smaller are my own seedlings, they’re still too small to transplant yet. Okay back to, erm, me. This is a slightly time-consuming recipe. I often say I’d do marinades more often as the chicken was wonderfully tender and moist, but when it’s just me it doesn’t really feel worth all the hassle. Nice to have, but I’m just me, food is fuel first and foremost. The least work to the best nutrition. That’s my general food philosophy. You have to enjoy it too, but that’s not always the most important part. So this is a very simple recipe, but what drew me was using the leftover marinade in a simple sauce. So many recipes waste a lot, I don’t like waste if I can help it. 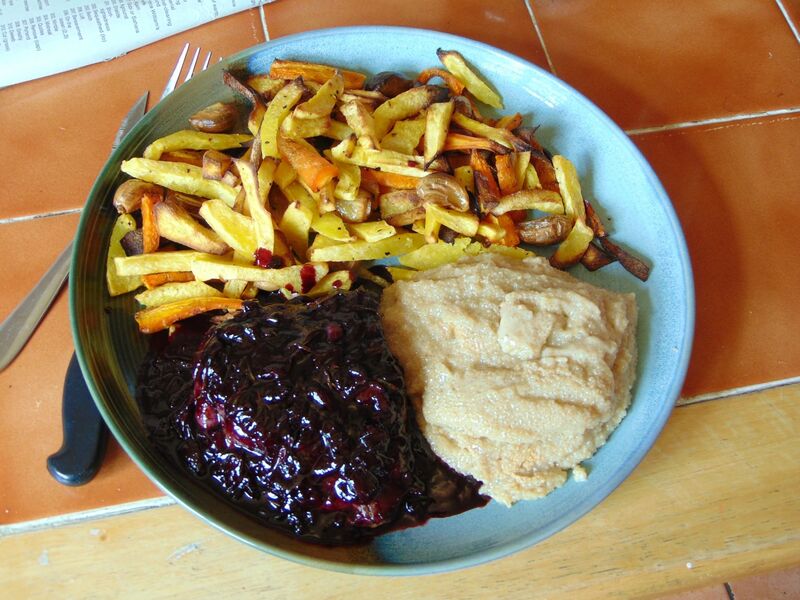 The sweet potato could be sautéed rather than just fried, but I wasn’t really feeling up to that much work. They’re fine just fried like this. There is a lovely taste when rosemary and lemon join together in culinary matrimony. I’ve heard it said that it goes great in lemon based desserts, a future post perhaps? I served it with quinoa, which also received a splash of sauce. Quinoa is surprisingly filling, it’s been really useful staple of my diet these last few years. 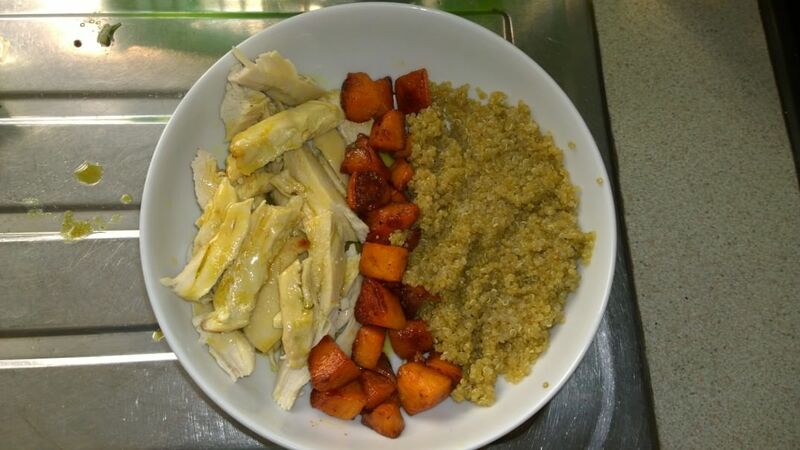 On the whole a simple, but flavoursome dish, the tender chicken, the honeyed sweet potatoes and the simple stock-cooked quinoa all made for a really nice break from the norm. I’m always glad to find recipes to use my fresh herbs. Not much else to say, until next time. 1. Mix all the Marinade Ingredients, aside from Chicken, in a bowl and then add the Chicken. Make sure all the Chicken is coated in the marinade and cover and leave in fridge for at least an hour, turning halfway. 2. Preheat oven to 175c (Fan) and when heated turn on the grill. 3. Scrape off excess Marinade, reserving, and place Chicken on a greaseproof lined tray. Cook for 5 minutes a side and then rest, in tinfoil, for a further five minutes. 4. While Chicken is resting add leftover Marinade, Salt and Stock to a pot and bring to the boil, cook until sauce has thickened. While sauce is cooking, cut up the rested Chicken and add the Juices to the boiling Sauce. Pour sauce over Chicken. 1. 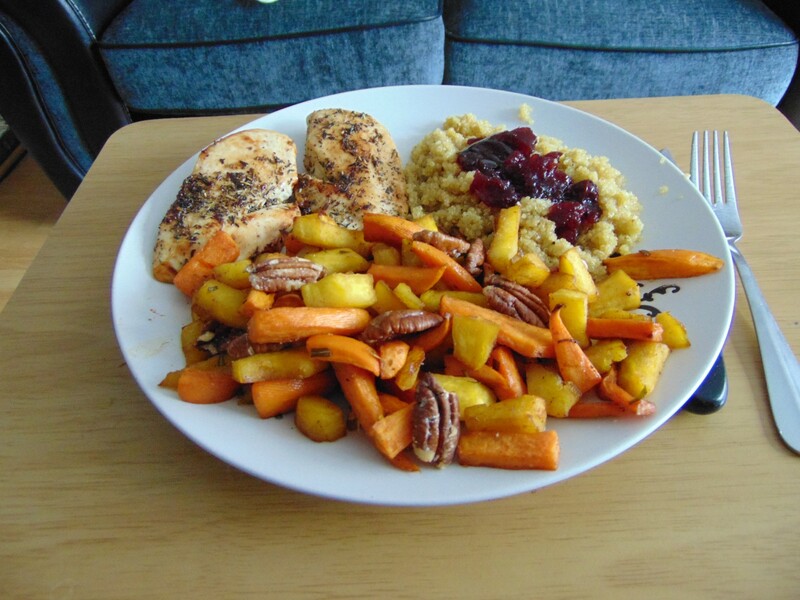 Add everything to a bowl except the Sweet Potato and stir together until combined. Then add in the Sweet Potato Cubes until coated. 2. 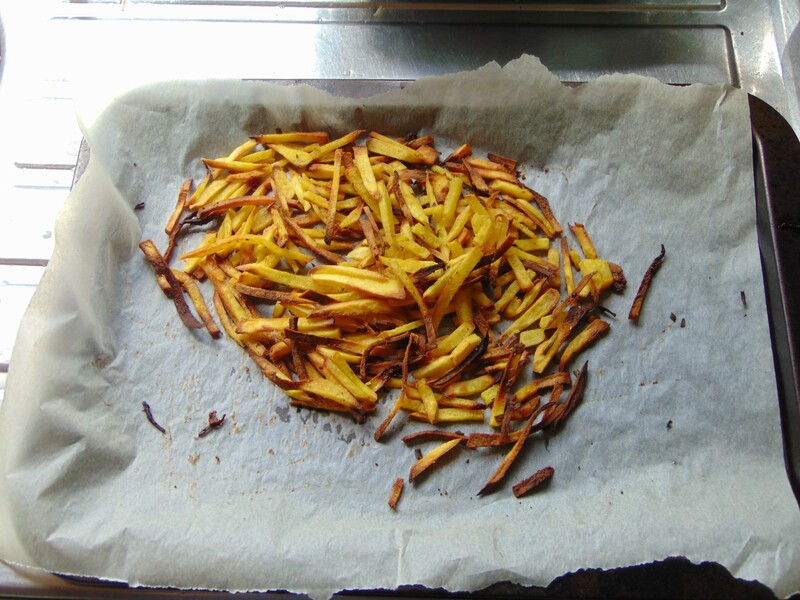 Either fry in a pan, on a medium-high heat for 15-20 minutes, until soft or bake in the oven at 175c (Fan) for 25-30 minutes until soft. Be careful not to burn the Honey.